The one-man-band behind Indie development studio, Disastercake, is hoping to bring its J-RPG style Kickstarter project to the Wii U eShop in Q4 2014. Described as a "love letter to J-RPG classics from the Playstation era like Final Fantasy, Breath of Fire, Suikoden, and Persona", Soul Saga: Episode I stars a young protagonist named Mithos who hopes to become the strongest Guild Master in the world. Set in the floating city of Medonia, Mithos' father, once a great Guild Master, went missing after venturing to the surface region of Oterra to defeat the King of the Dragons, and now Mithos wants to prove his strength by starting his own Guild and taking on the dragon himself. Mithos wouldn't call it vengeance - he never really liked his Dad that much anyway. The game features a combat mode which is both strategic and decision intensive, using a turn-based system similar to Final Fantasy X and gorgeous 2D and 3D anime-style characters. Soul Saga also features the voicing talents of Todd Haberkorn who lent his voice to Fairy Tail, Full Metal Alchemist and Sergeant Frog, and Kira Buckland who starred in Skullgirls, Mugen Souls and Accel World. The story will be divided into episodes so that players can witness the next part of the story sooner rather than waiting for years between games. I'm not exactly positive how I will deal with it exactly yet, but I think I will be adding a lot of the GUI (graphical user interface) on the Wii U controller, clearing up the space on the TV to look more like a movie. I think it's great to have lots of screen real estate, and game designers have been struggling to find ways to get the GUI out of the way of the pretty graphics for a long time. [In the game] the player has a Steampunk styled smart phone for communicating with other people in the game world, so that menu GUI would be able to find a good place on the controller. So if the player gets a text message while roaming the world, the Wii U GamePad will start to vibrate and make a noise. Or, if the player has an incoming call it will also vibrate and ring and display the caller's portrait on the GamePad like it was a smart phone. The player can then answer the phone to initiate the conversation, or just hang up on them if they want to dodge that call. 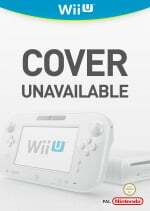 Mike still has plenty more ideas for the Wii U's controller, hinting at the possibility that it may also be used as a puzzle hint system to provide clues to find hidden treasure around the game's maps. The developer is still looking into other ideas for the Wii U version, and wants any Kickstarter backers to voice their suggestions by writing to him in the page's comments section. My favorite part about this Kickstarter [project] is hearing everyone's amazing ideas! It's very inspiring and I'd love for the backers to help influence what Soul Saga becomes, since they are a part of the project now. I am really happy to bring this to Nintendo fans, because I think they are much closer to the market Soul Saga's style is tailored to. At the time of writing Soul Saga's Kickstarter page has reached $32,448 out of a $60,000 goal, with 912 backers and 22 days to go. If you would like to see this project reach the Wii U, make sure to chip in before Monday 15th July, 2:59 am EDT. Thanks to "uel" Ian for the tip! We could use some rpgs for wii u still would like to know what happen to Pier Solar. Well, it just went past 30k recently, and there's 22 days to go with the Wii U stretch goal being exactly 105k. I think the goal will be met, unless people stop putting money in once the 60k goal to fund the game has been met. Hi, guys! We are working on our next exclusive update for all of you! Yes, we are still working on Wii U and we are preparing a video to be presented to you with our work in progress! It's going to be great!!! It's on the comments page on their kickstarter, I think the game is supposed to come out December 2013. It does look interesting... but I hope he'll add more in the effects and animation department, as what I saw yet was really stiff. I don't really like the character models so i doubt i would get this even if it is funded, still more games the better. Looks nostalgically awesome, will be keeping my eyes out for this one. It looks awesome, and I'd almost definitely buy it if it came to the eshop, but I won't put money on a Kickstarter game if it's not guaranteed to come to the Wii U. I don't want a Steam version, so unless the Wii U stretch goal was reached, I'd be paying for other people to get the game. @Kaze_Memaryu I agree, it looks like it has potential but I wanna see some flashy battle footage! It will be out on PC, which means in an indie bundle for $1 or less, so I will never get it on Wii U. Wii U charges $10-20 for these indie games I already got on PC for $1 max price lol. It looks quite promising. If i didn't have to pledge more money than for the other versions i'd probably go ahead. Honestly looks more fit for 3DS than Wii U.
JRPG "Fans" who insist on trying to emulate the success of older titles should stick to RPGMaker, IMO...I know I won't be supporting this, to say the least. @GamerJunkie tipical PC gamer they can pay for a new gpu every 2 years but they can't support a developer by buying a game full price. Also, do not care to see this happen. @Zodiak13 Uh no. Millions of games sold at $1-2 & $5 is better than only a few thousand selling at $10-20. Learn math before you speak. Steam has made PC gaming BOOM!!! @Macarony64 You don't get it. The same game is on steam for $1-2 why would I buy it on Wii U for $10-20? and only 50,000 people buy the Wii U one x $10 = $500k profit only on the Wii U version. The developer of the game gets more money from the PC steam customers. You obviously know nothing about how to make money. I also buy many games at full price when they are worth it. But if its on one system for 20x more money, I take the smart buy, I am not a fool. It's the "Episode 1" part that bothers me... I suspect that Episode 2 won't make it to Wii U... Like what happened with the Last Sonic episode on the Wii. The game has such a "meh" feeling to it, although Elise is pretty cute. Looks interesting. Saw the website and this might be a promising game. I would like to see this game on the Wii U especially if it involves innovative uses of the gamepad. and only 50,000 people buy the Wii U one x $10 = $500k profit only on the Wii U version." How about a fair comparison? You can't compare shifting 5 million units to shifting 50k. @Suicune Yes you can because Steam has 50+ million users and most of them look for these deals. Wii U has over 10 x less users and most of them don't even buy indie games. So, the sales numbers I compared make a lot of sense. Well, the stretch goal's been reduced to 80,000 for a Wii U version, so if you want the game on the Wii U, you now need 25k less to get it. It looks like it'd be a nice addition to the Wii U library too. I liked Skies of Arcadia though. (Same sort of era).